When I met her in December 2013, she was 19 years old. I was part of a team from UNICEF and Kiwanis International, and we were riding in a caravan of four white UNICEF trucks, along a very bumpy, rural road in Madagascar. There was nothing around us but the dirt we kicked up behind our wheels, and dense, green fields on both sides. Then, suddenly, there she was. She was with another young woman, and they were on the side of the dirt road washing clothes in a small pond. I was in the front seat of the third truck. We stopped, and some of the group in the front two trucks got out and walked toward the women. I followed, camera in hand. What happened next will forever stay with me, as it was such a coincidence. And yet, not. One of the Madagascar UNICEF workers was riding in one of the front trucks, and he recognized Josiane immediately as one of the women he had met during the immunization program. He had the trucks stop so we could meet her, too. 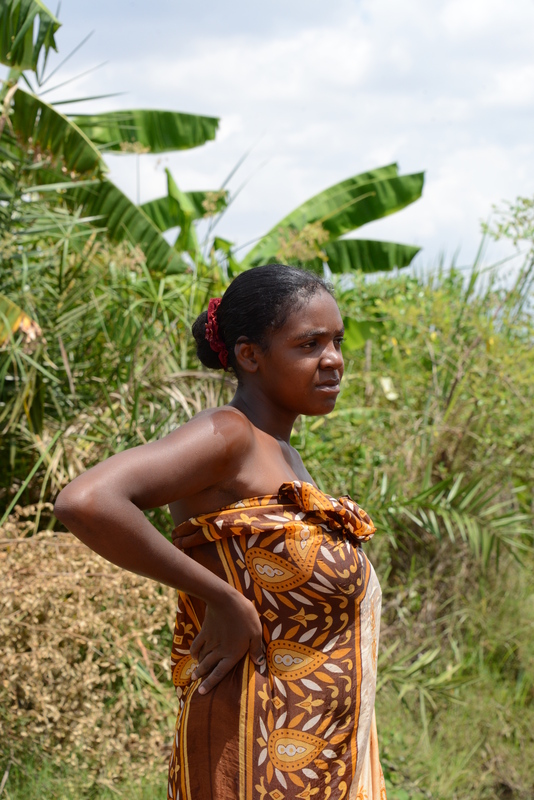 He told us that Josiane had received her vaccination against maternal and neonatal tetanus. These three shots would protect her and all her future babies from the disease. As we stood and listened to our UNICEF partner asking Josiane questions, it dawned on us that she said she had walked about THREE HOURS to receive her vaccinations. That is how much it meant to her to get the care she needed not only for herself, but for her unborn babies. 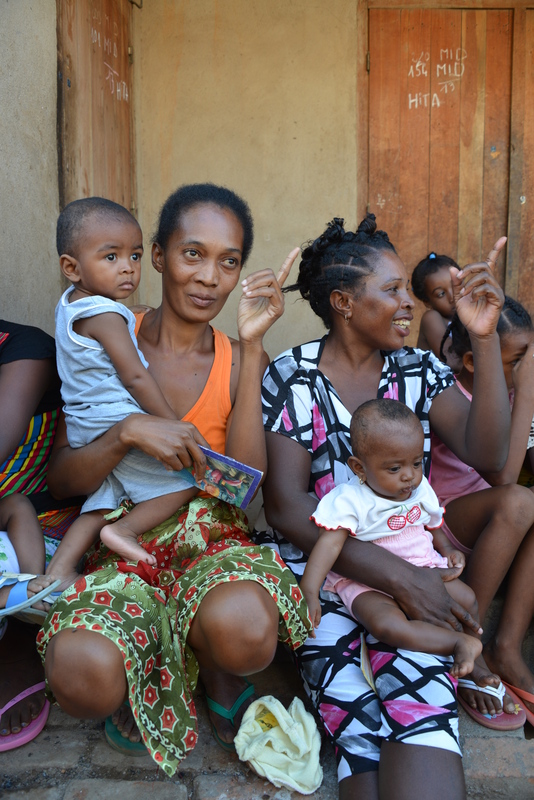 Josiane was the proud mama to then-8-month-old son Jonie. She told us how happy she was that he was born tetanus free, healthy. I share this now, so many months later, because it’s an example as to why I put myself out there. Why I go on these crazy trips around the world. Why I love meeting people and sharing their stories. It’s people like Josiane who make it all real, all worth it. They change me every single time I meet them. Whether it be a young girl in Belgium who’s getting the chance to go on a boat for the first time or a tiny football player in Arkansas who just made his first touchdown. All of these projects are special. All of the people are unforgettable. I’ve been more than a bit worried about my upcoming trip to Uganda. Between plane crashes and planes being shot down and the unsettling news of rebel activity in Uganda, I’ve been a nervous wreck. I don’t want to put myself in harm’s way. I have kids. I want to be here for them. But today, I tried to just sit back and breathe. And to think of Josiane. I wanted you to meet her, too, so that you can see why I do it. Why we all do what we do to learn more, to help more and to share our experiences with others in hopes of changing even more lives. 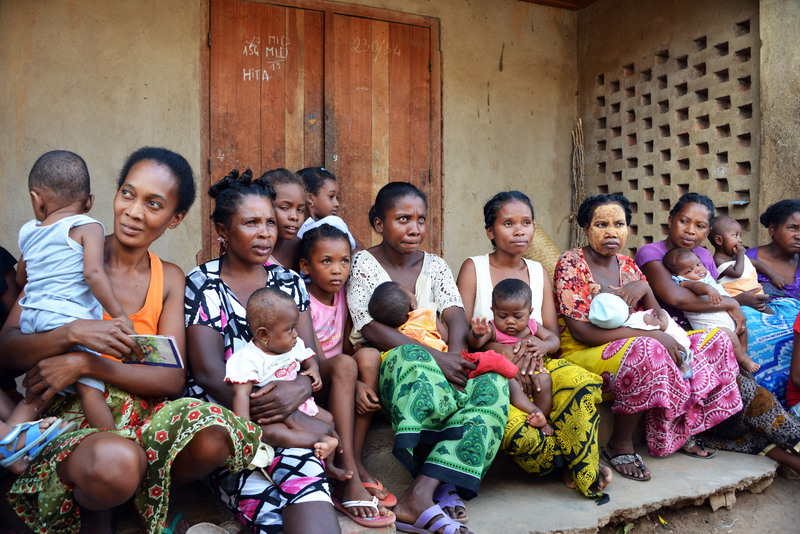 When we made it to the remote village we were driving to that day in Madagascar, we met a large group of women and their babies and young children. They had been patiently waiting for us for hours. Yes. Hours. When we asked them how many had had one vaccination shot against maternal and neonatal tetanus, they all raised their hands. When we asked how many had had two shots, they again all raised their hands. When we asked how many had had three shots, we were blown away. They thanked Kiwanis and UNICEF for making it possible for so many women and their babies to be protected against such a deadly disease. We again were blessed to witness such a powerful moment. And if I can help, if I can be a part of this even in the tiniest way–of telling their stories and sharing their photographs, I will do it. I’m going to Uganda next week to meet more than a thousand children of all ages who live in an orphanage outside of Kampala. I’m going to fall in love with every single one of them. They each have a story. They each have an adorable, unforgettable face. And when I see them, all of my worries will fade away.